I just got back from the beach last night. We had a wonderful trip, and it didn’t hurt that I read a book a day for ten days, including these five. High praise: I owe the library a week's worth fines because I took this to the beach despite the fact that it was due while I was 600 miles away and it was totally worth it. It deserves its own blog post: I'll figure out a way to dive a little deeper into the concepts here soon. I appreciated the concepts in Cal Newport's previous book So Good They Can't Ignore You; in this one he shares excellent ideas while seriously upping his writing game. This is an excellent read for anyone who wants to thoughtfully examine their priorities, their working habits, or their relationship with social media. I spent most of last month reading East of Eden. It was so good! I’m on the wait list at the library for The Woman in Cabin 10. I want to like mysteries but I’m often disappointed. I’m hoping to like this one. It sounds interesting. I’m adding Homegoing to my reading list, too. The Ware didn’t hook me right from the beginning but I kept reading and was ultimately glad I did. I loved Cal Newport’s Deep Work. One of the best books I have read so far in 2016. I’ve been wading through the Elena Ferrante series but took a break in the middle when A Man Called Ove arrived at the library. I love it!!! Btw…I haven’t read Homegoing yet, but the author went to school with my boys, so that’s fun! Personal connections like that are always so fun! Homegoing is on my TBR list but I suspect this is one that will be hard for me to get in the UK. 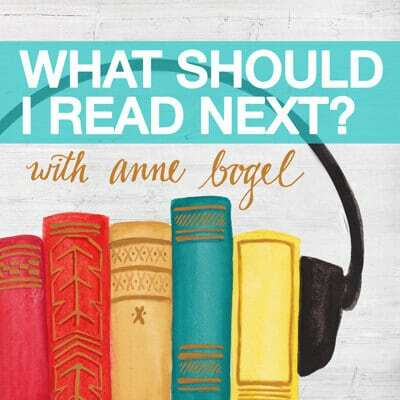 I read Me Before You this weekend, with a looming library due date, because after so many mentions on the podcast, I was tired of wondering what all the fuss is about! Could see both why people love it and why people hate it, but I came out somewhere in the middle. Now moving on to the first Flavia de Luce book – hoping I’ll fare better with this series as a waiting-for-the-next-Louise-Penny stop-gap than with Deborah Crombie’s Duncan Kincaid/Gemma James series – which I had to abandon, although I liked the first book, when I realized the library doesn’t have any others from the series available! I took A Fall of Marigolds out of the Little Free Library on our street but haven’t got to it yet. 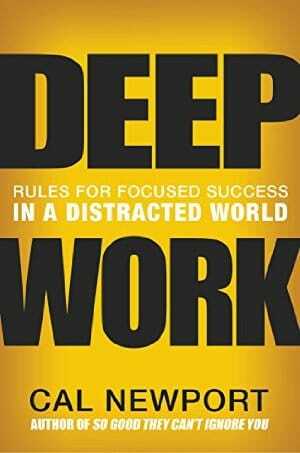 Deep Work sounds like something I would really benefit from; I have been feeling that sense of distraction brought on by social media! Midnight in the Garden of Good and Evil. Fan-tastic. Have you read? Highly recommended in advance of your Savannah trip this fall. My parents moved there last year and I’m in love with the city. I haven’t read it, and you’re so right about this being great timing for me! Thanks for the recommendation. I found the book for sale in every gift shop in Savannah, and also postcards and small replicas of the statue that’s on the book’s cover. Very cool to have a literary souvenir. I have had my eye on Deep Work for a while. I really need to get to it. It sounds great. 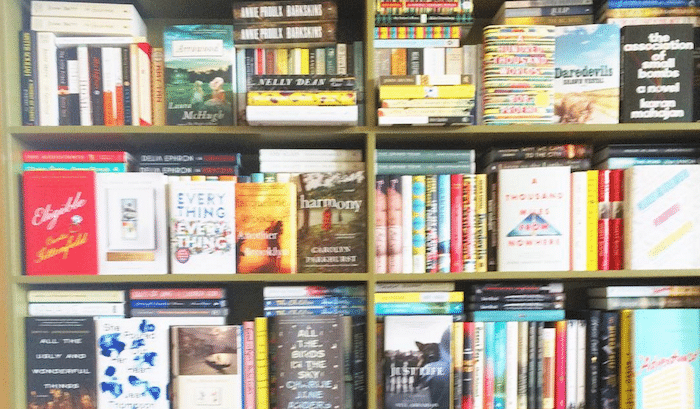 A book a day – what heaven! So far Before the Fall, The Black Widow by Dan Silva ( which was excellent but unsettled me), the 3 Library Lighthouse mysteries(set in the Outer Banks in a lighthouse! ), Truly, Madly, Guilty, by Moriarty, Girl Waits with Gun,rereading Harry Potter, and listening to A Tree Grows in Brooklyn. I just picked up the new Eowyn Ivey book To the Bright Edge of the World, and it’s wonderful so far. Three books added to my list! Thanks and welcome home. I’m almost finished with Good Night, Mr. Wodehouse. It’s a story encapsulating a woman’s life and how she deals with everything by losing herself in books, specifically Wodehouse. Really well written. This gives me hope for Homegoing. I’m a little over a hundred pages in and while I can’t point at anything to fault, I’m just not yet seeing why it’s getting such amazing reviews. I’m happy to hear that there’s a larger arc. I’m currently reading and loving Lab Girl! Funny stories, interesting insights into academia, and so many fascinating tidbits about plants! Next up for me will probably be I’m Supposed to Protect You From All This, by Nadja Spiegelman. Forgive me if I misspelled her name. The book isn’t at hand. I’m reading this too. I was 24th on the library list. I’m actually not all that into it. As a woman and a scientist I am finding it a little dull. But maybe the second half will be better. Definitely surprised at the long library list. Lab Girl? The science bits are probably a perfect happy medium for me, but I’ve heard plenty of complaints that there’s too much science (..in a science memoir?) and I could also see it being dull for someone more scientific. The real appeal I think is in the personal bits! You learn a lot more about her, and about her partnership with Bill, as the book goes on. Those stories are the best part I think. I bought Lab Girl for my 17 year daughter who is entering college this fall as a possible biology major. Can’t wait to read it myself! Oh, I adore Anna Quindlen. (Although as a fellow HSP, I would not recommend you read Every Last One, which was WAYYYY too much for me – I didn’t know what it was about going in.) I loved her last book, Still Life with Bread Crumbs, and her memoir (Lots of Candles, Plenty of Cake) is fantastic. Looking forward to reading Miller’s Valley. In July I read two of the Cormoran Strike books and six Anne of Green Gables books, so I consider that a great success. They were all wonderful! 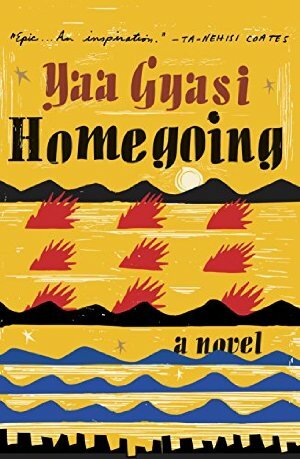 I tried Homegoing, but really had trouble getting into it…but I didn’t make it past 100 pages. So, seeing your comment makes me think about trying it again. I placed library holds on three of these. As always, thanks for the reviews! 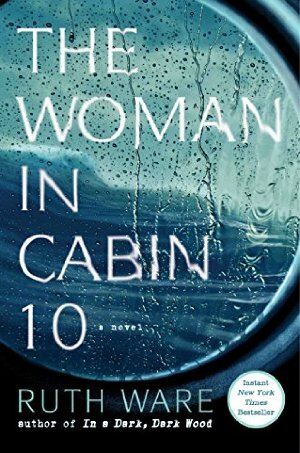 The Woman in Cabin 10 was my August BOTM pick as well. I haven’t started it, but have read page 69, so I think I’ll like it. 🙂 A Fall of Marigolds sounds really good and the premise reminds me of The Keeper of Secrets. I just got Homegoing last week, so that’s in my stack. From the library, I had three holds come in at once: Missing, Presumed by Susie Steiner; Vinegar Girl by Anne Tyler; and To the Bright Edge of the World by Eowyn Ivey. I am currently reading Emma by Alexander McCall Smith, and just finished Sweetbitter by Stephanie Danler and The Believers by Zoe Heller. My favorite books of the summer have been Jo Walton’s Small Change trilogy: Farthing, Ha’Penny and Half a Crown. Alternative World War Two history, with parallels to today’s election. I read them in 4 days, and that was with forcing myself to slow down! I really enjoyed Miller’s Valley, but it left me dying to have someone to discuss it with! 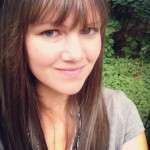 (Trying not to spoil anything here…) The unanswered questions about what Mimi found left me haunted me for DAYS. I’m in the middle of Homegoing now, and I agree, the momentum is building and I’m really looking forward to it progressing. Each generation’s story has been so difficult emotionally, but so important. 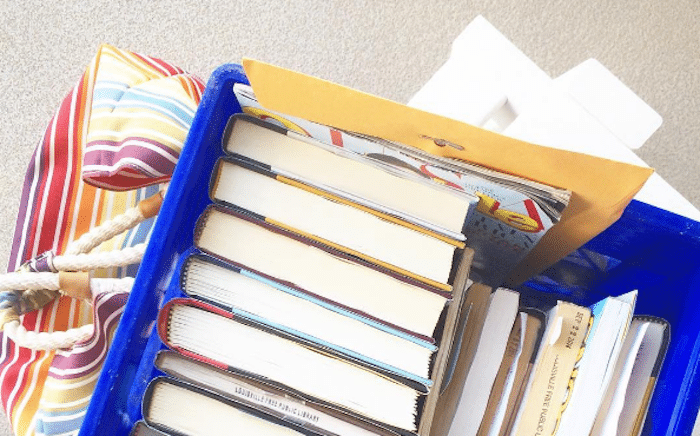 Homegoing and Deep Work jump out at me as must-adds to my TBR list. 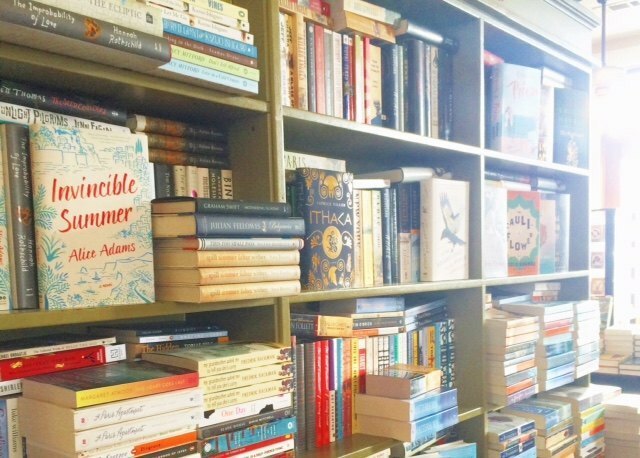 My favorite July read was The Cuckoo’s Calling … or maybe What Alice Forgot. It’s a toss-up – both great fun to read. Homegoing is on my summer reading list. I’ve really been into thrillers lately (I read No One Knows by J.T. Ellison back in July and enjoyed it!) The Woman in Cabin 10 sounds like it’s right up my alley! I’m currently finishing up The Good Father by Noah Hawley which I love. Also reading Food and the City by Ina Yalof and I highly, highly recommend it. It’s a behind-the-scenes look at New York’s food scene through the eyes of the professional chefs, line cooks, food vendors, and purveyors who call the city home (I’ve been making a list of all the amazing restaurants and bakeries in the book!) I love hearing each person’s story about how they started their business, the trials they faced, and how they overcame them. Very enlightening and relatable! Also, re-reading The Knockoff, one of my favourite 2015 reads! Ooh, Food and the City sounds excellent! Sweetbitter piqued my interest, but this is right up my alley. I am reading it slowly. Don’t want it to end! I just ordered it! Love the cover design, too. Thanks for the recommendation. Just finished Pretty Girls & was about to start Before The Fall, but I needed a transition book! Pretty Girls was dark & at times gruesome, so I picked up The Knockoff at the library today. Hope it will lighten me up! 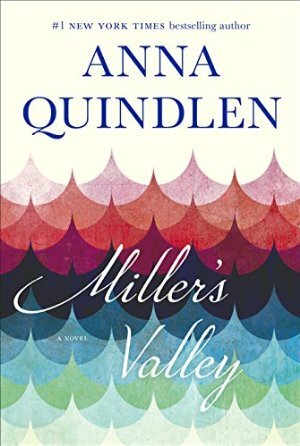 I just finished reading Miller’s Valley this afternoon and have already returned it to our Washington County Library. I am thankful that I read the book. 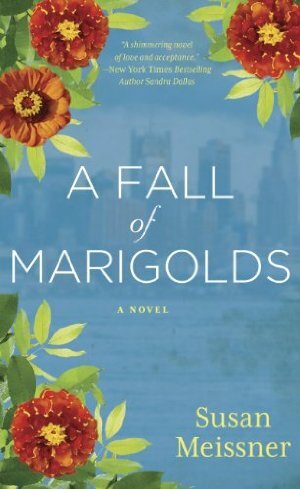 I read Fall of Marigolds and enjoyed it! I have Woman in Cabin 10 and Miller’s Valley on my Kindle ready to go when in the mood and heard great buzz about Homegoing. I’m impressed with the reading you did on vacation! Very nice… and glad to hear it was enjoyable. i just finished “outlander” and while i enjoyed it and i thought it was very well written, it was ultimately just a romance novel and for the 900 pages i would rather people just picked up a julie garwood book. the same historical romance fiction, shorter and straight to the point. i started “i’ll give you the sun” but couldn’t make it past page 65, i hated the style of writing, a metaphor attached to every sentence(i kid you not!) but i know i’m in the minority because it has loads of 5 stars. finished the prince of fools trilogy and those books were absolute delights!! currently reading “homegoing” and “we’re all damaged”. also, finally caved and got “still life” by louise penny because it keeps coming up on the podcast! So curious about Deep Work, Homegoing and Miller’s Valley! I liked but didn’t love A Fall of Marigolds. Not quite sure why. I’ve been digging out from a move but recently loved Radio Girls (a novel about the early years of the BBC) and Hidden Figures (fascinating nonfiction about black female mathematicians at NASA). The latter is going to be a movie too! It’s been an excellent month of reading for me so far. Finished and loved The Girls by Emma Cline, The Ballroom by Anna Hope, Glory Over Everything by Kathleen Grissom (loved more than the Kitchen House! ), Leaving Time by Jodi Picoult, and Red Queen by Victoria Aveyard. Currently Reading: the new HP, The Invisible Life of Ivan Isaenko, & Burnt Toast Makes You Sing Good by Kathleen Flinn. Up Next: A Man Called Ove (Been waiting months at the library for those one), The Woman in Cabin 10, and All the ugly and beautiful things.